Amanda Chan has achieved recognition in her career as concert pianist, teacher, lecturer, adjudicator and examiner for the Royal Conservatory of Music in Toronto. She has given concerts and masterclasses in Canada, USA, China and Europe as a soloist and chamber player. Born and raised in Vancouver, she studied with Edward Parker and was highly successful in her competitive career including winning First and Top Prizes in the Canadian Music Competition National Finals, CIBC National Canadian Music Festival, Canadian Federation of Music Teachers Association National Bach Competition, “Best Interpretation of a Canadian Premiere Work”, CBC National Young Performers Competition, Concours Orchestre Symphonie de Montreal, to name a few. During her studies with Kum-Sing Lee at the Vancouver Academy of Music, she was the winner of the Kay Meek Competition in 1993. Currently, she is the pianist of the Koerner Piano Trio, renowned for its educational mandate with outreach initiatives and performances. She is also a frequent pianist with The Vancouver Symphony Orchestra and is regularly featured on the VSO Chamber Players Series. 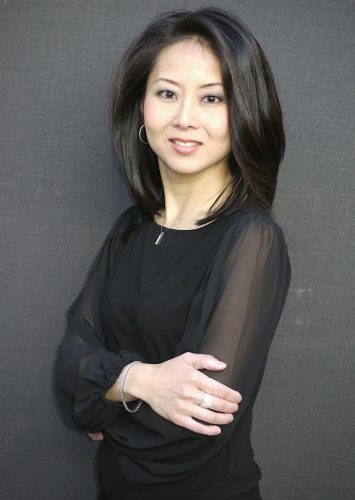 Ms. Chan serves on the faculty of the University of British Columbia, School of Music and is the Head of the Piano Department at the Vancouver Academy of Music, teaching piano and chamber music.